As I wandered through the fruit section in the supermarket during my weekly food shopping trip, I noticed that the limes were on special. Now usually I prefer to buy from the Farmers Markets, but our next one wasn’t coming up until the second week of June. I had wanted to make a moist buttery cake for awhile, and Lime Cake sounded like a good place to start. 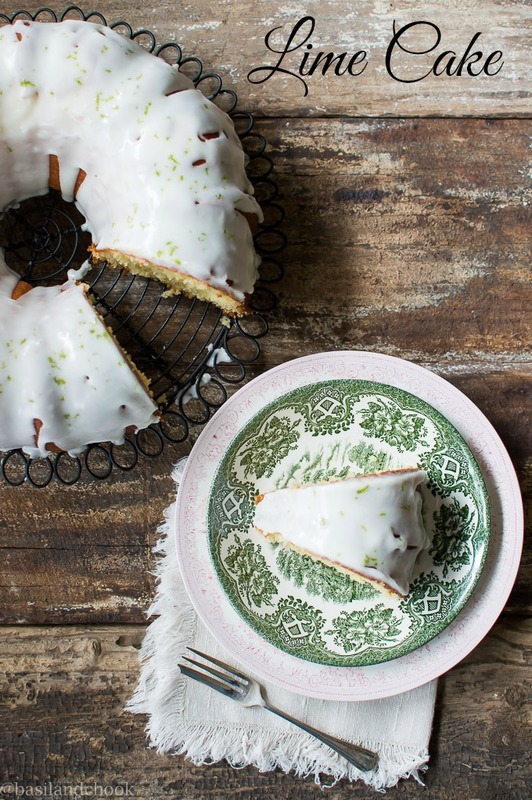 This Lime Cake will not disappoint your taste buds. It is perfect to have when there is that small window of time where you can finally sit down and have some afternoon tea. 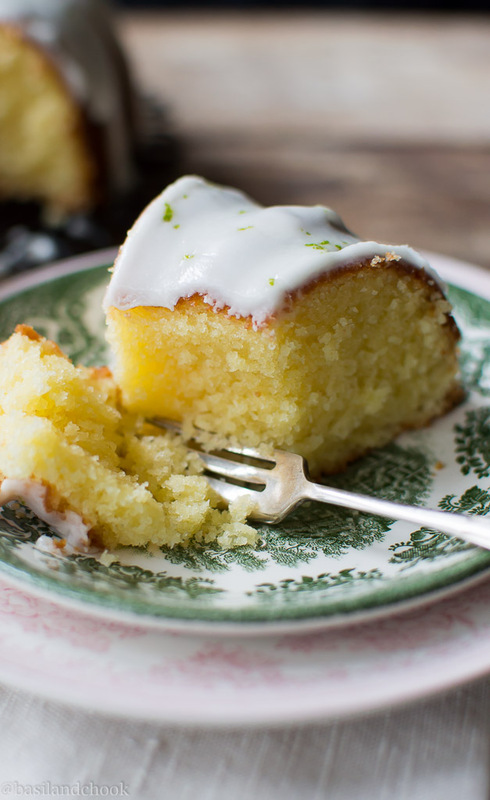 The zesty taste of the lime is right throughout the buttery crumbs of the cake. And although there is the juice of 2 limes added to the cake ingredients, the flavour of the lime is not overpowering. 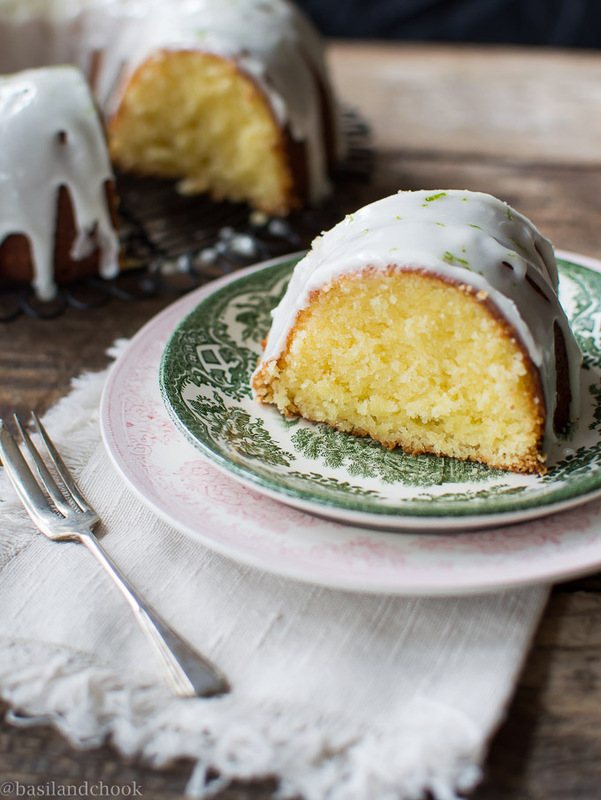 A moist buttery Lime Cake that will make you go back for that second and third slice! Grease a bundt tin (10 inches/ 26 cms) Make sure that you thoroughly cover the tin. I use oil spray. Using an electric mixer, cream together butter and sugar. Add eggs one at a time, beating until well blended after each one. Sift flour, baking powder and salt into the butter mixture. Mix on low speed until just combined. Then add lime juice and milk. Mix in gently on slow speed until all combined. Bake for 35 minutes. Depending on your ovens cooking time, insert a cake tester into the centre, and it should come out clean. Cool cake in pan for about 10 minutes. Turn cake out onto cake rack and cool completely. Add into a bowl the icing sugar, butter and lime juice. Mix until blended. Add extra milk by a teaspoon at a time until you get a nice consistency to drizzle all over the cake. Sprinkle grated lime zest on top. 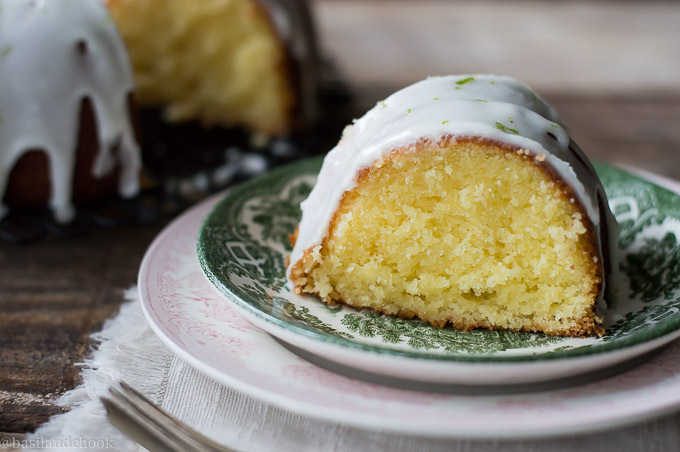 Once this moist, melt in your mouth Lime Cake has finished cooling, you can go ahead and make the frosting. Make sure when you make the frosting it’s at a consistency that is easy to dribble all over and gets it running down the sides. 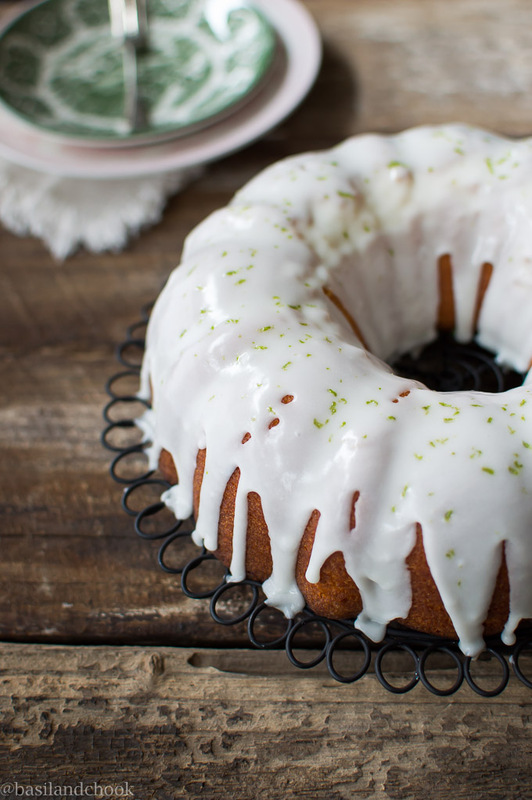 The Lime frosting in the recipe makes just a little bit extra in case you love your cakes covered in the stuff. Or you like to do what I do and keep the extra icing for yourself so you can lick the bowl and spoon clean later! When it comes time to pour the frosting over the cake, I sometimes just leave the cake on the cake rack and place a plate or tray underneath so the icing can drip through the rack. Other times, if I want to have a massive pool of zingy lime frosting around the cake, I just put the cake on a plate and dribble it all over. So if you have a handful of limes sitting in a bowl on your kitchen bench or hanging out in the crisper drawer in your fridge, give this decadent moist Lime Cake ago. I can tell you now that you will go back for a second and third slice! What recipes have you made using the tangy, zingy juices from a lime? I'm Simone. I'm addicted to coffee. Eat way too much chocolate. Bake lots of delicious goodies and love taking photos. Welcome to my place! I love citrus in my desserts. I usually use lemon though. This sounds delicious…and I always keep limes in the house!